We close out the week with another recipe from the Family Celebrations With the Cake Boss. This dinner came together in no time. And the flavors were wonderful. The lemon flavor and the creaminess of the sauce. And it had ham in it too! Cook orzo in a 6-quart pot of boiling salted water until al dente. Reserve 1/4 cup pasta cooking water, then drain orzo in a colander. 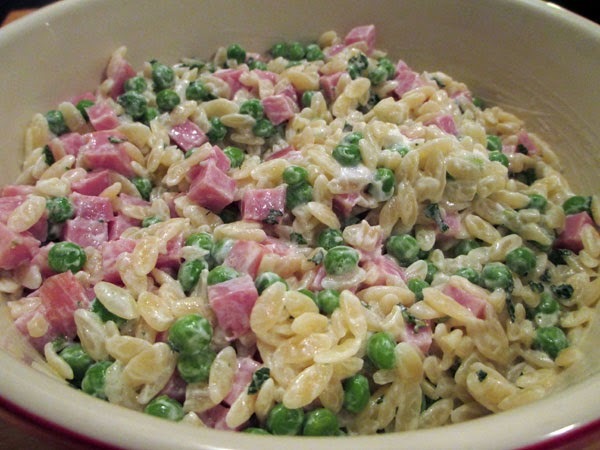 In a mixing bowl, toss together the hot orzo, peas and goat cheese, stirring gently. Add olive oil, lemon juice and some of the pasta water, stirring to help the cheese emulsify to a sauce like consistency. Stir in the ham and the mint. I think the leftovers would make a nice pasta pie... assuming I don' have them for lunch! 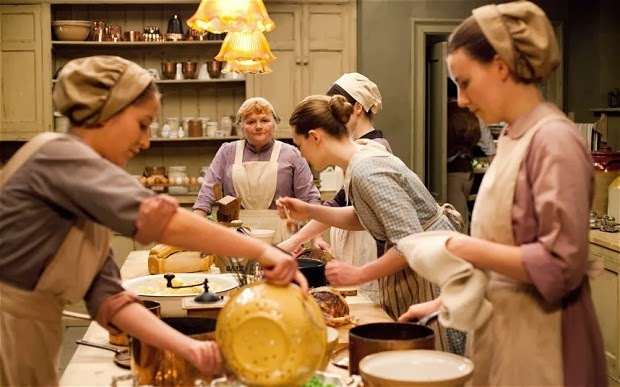 And don't forget Sunday night is the Downton Abbey finale! !